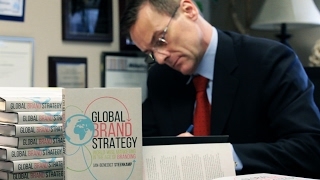 J.B. Steenkamp is a world-renowned scholar on global branding and marketing. Jan-Benedict E.M. Steenkamp specializes in global marketing, branding, emerging markets and strategy. 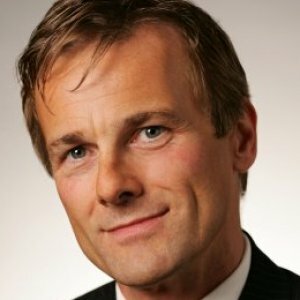 Dr. Steenkamp is the author of "Retail Disruptors: The Spectacular Rise and Impact of the Hard Discounters" (2018), "Global Brand Strategy: World-Wise Marketing in the Age of Branding" (2017), "Private Label Strategy: How to Meet the Store Brand Challenge" (2007) and "Brand Breakout: How Emerging Market Brands Will Go Global" (2013). "Brand Breakout" was selected as a best business book in globalization for 2013 by Booz & Co.’s magazine Strategy + Business. He was ranked No. 1 in the world on scholarly influence in marketing in the last decade. He has written cases on companies and brands from emerging markets (available from The Case Centre). An award-winning researcher, he has also written more than 150 scholarly publications, and his work has received more than 35,000 citations. He is executive director of AiMark, a global center studying key marketing strategy issues, which brings together academics around the world, two of the top-four market research agencies, and brand manufacturers. He has consulted with numerous multinational companies, including Procter & Gamble, Kraft, General Mills, Johnson & Johnson, Unilever, Reckitt Benckiser, Sanford Bernstein, Bunge, Bristol-Myers Squibb, Zurich Financial, KPMG, Sara Lee. He has worked with the Brattle Group and the international law firms King & Spalding LLP, Sidley & Austin LLP, and Shook, Hardy & Bacon LLP on international lawsuits and trade disputes involving branding and private labels. He has taught at universities in Austria, Belgium, China, India, the Netherlands, Singapore, Spain, South Africa, U.K. and U.S. Lifetime achievement award recognized him as a leading expert on structural equation modeling and cited his contributions on measurement invariance for setting new standards for international marketing research. He is the former chair of the marketing area at UNC Kenan-Flagler. In his new book, “Brand Breakout,” Jan-Benedict Steenkamp, argues that developing-country firms are swiftly learning the art of branding. After attempting to build brand recognition by migrating to higher quality products, an approach professor Jan Steenkamp calls the "Asian tortoise," Chinese companies have decided to now become the hare. According to Steenkamp, the diaspora can lead in promoting Indian brands globally and the right global approach will not only help Indian companies reap higher profits but will also help them raise their global brand power. This paper proposes the 4V model for better understanding how global brands create firm value. Organized around the global brand value chain, the 4V model includes four sets of value-creating activities: first, valued brands; second, value sources; third, value delivery; and fourth, valued outcomes. Although store brands (SBs) are becoming increasingly important across the world, their success varies dramatically across consumer packaged goods categories and countries. The purpose of this paper is to provide insight into how such differences in SB success originate, using data that combines scanner data for a three- to five-year period with consumer survey data for scores of food, household care, and personal care categories. Jan-Benedict E.M. Steenkamp and Nirmalya Kumar say emerging global giants can grow their brand by targeting diasporas. In harsh economic times, when marketing budgets are among the first to be reconsidered, firms are under increasing pressure to justify their marketing expenditures. To make such decisions, managers must know whether, and to what extent, marketing's effectiveness varies with the economic tide. The authors conduct a systematic investigation of the business cycle's impact on the effectiveness of two important marketing instruments: price and advertising.